Sign up early for our workshop, space is limited! Print this poster and tell a friend! 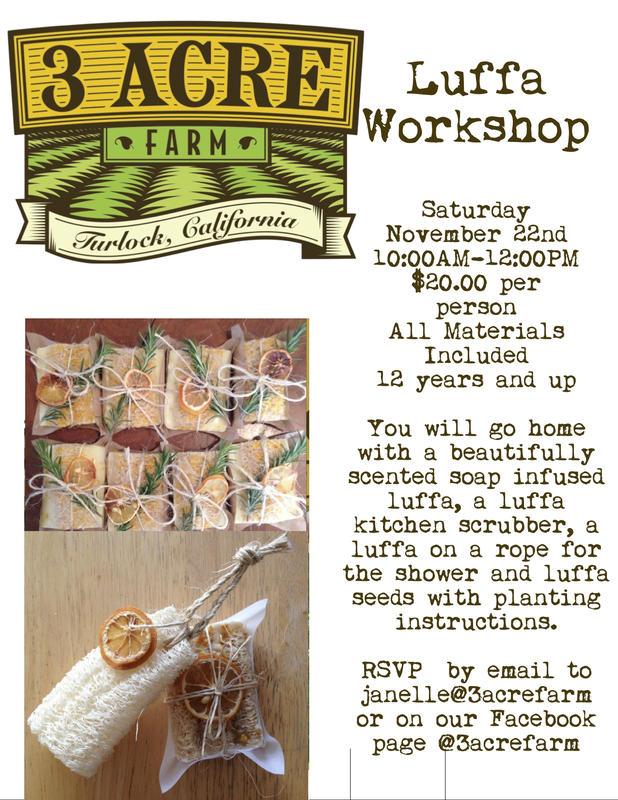 This entry was posted in Events and tagged CSA, handsoaps, luffa, organic, Turlock, workshop. Bookmark the permalink.